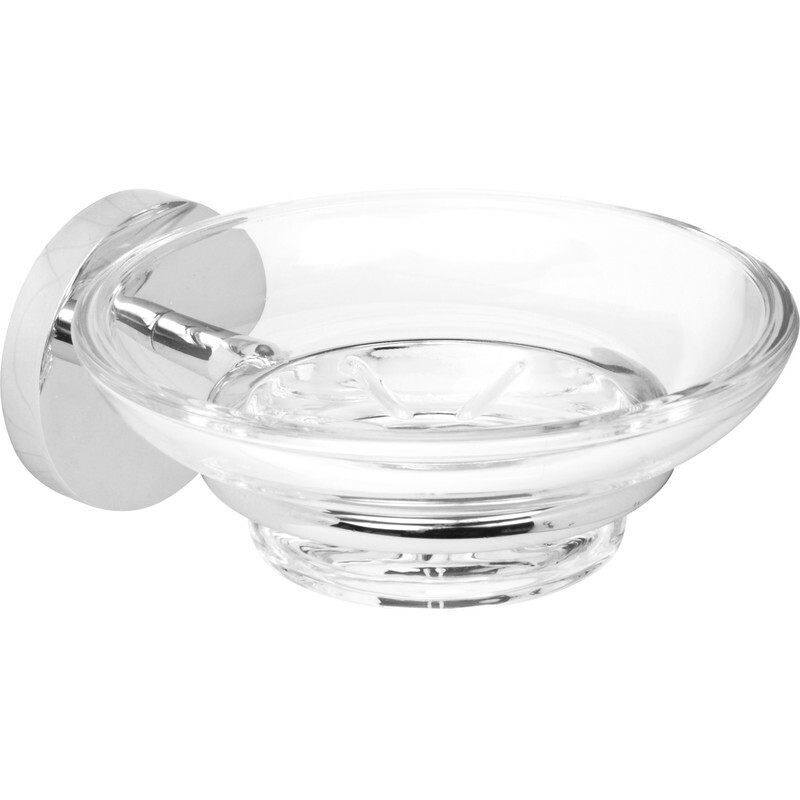 Polished Soap Dish & Glass Chrome is rated 4.0 out of 5 by 2. Rated 3 out of 5 by Motleycrew from Does the job Bought this to replace broken glass on old dish. Ok but the glass dish sits loose on top and you have to be careful when you put soap back on that you don't knock it. Old dish had rubber seal that held it in place.